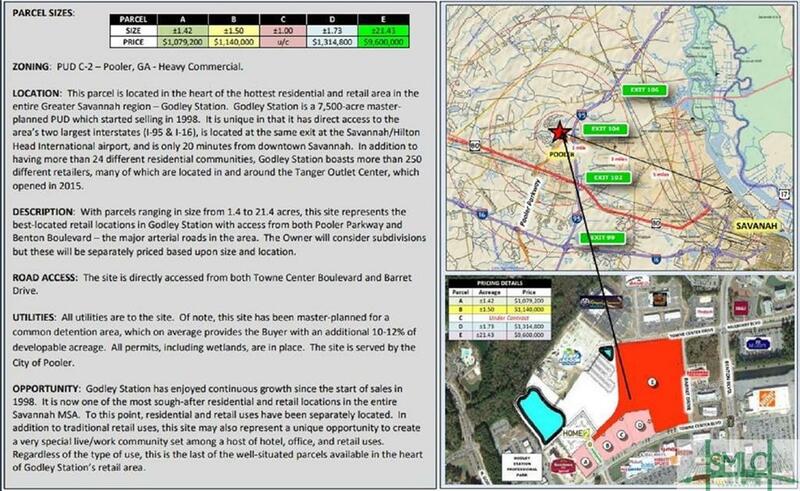 With parcels ranging in size from 1.4 to 21.4 acres, these sites represent the best-located retail locations in Godley Station with access from both Pooler Parkway and Benton Boulevard the major arterial roads in the area. The Owner will consider subdivision of the 21-acre parcel with negotiated pricing. 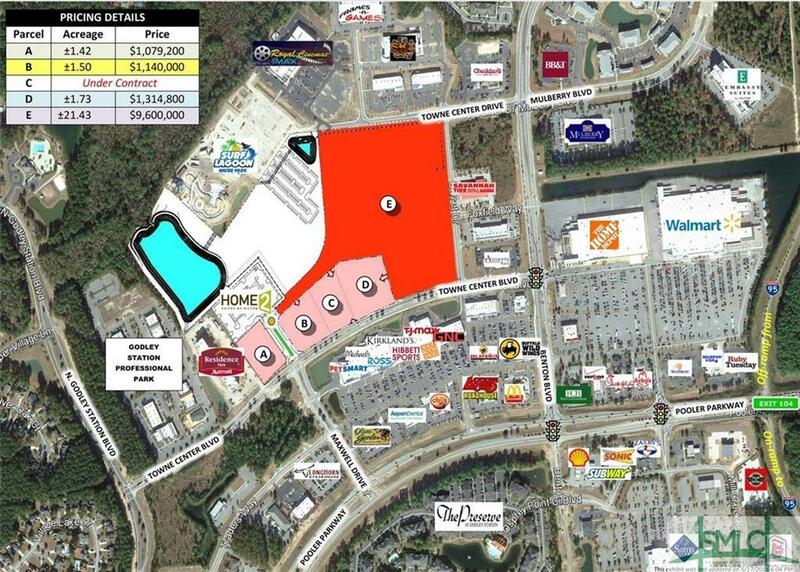 The site is directly accessed from both Towne Center Boulevard and BarretDrive.All utilities are to the site. Of note, this site has been master-planned for acommon detention area, which on average provides the Buyer with an additional 10-12% ofdevelopable acreage. All permits, including wetlands, are in place. The site is served by theCity of Pooler.